I foresee this thread being dominated by lilmsprelude. Haha, she should probably just be a moderator of anything electronics. To make something relevant, it would be legit to see done, and I would be interested in how to do it also. Well you're in luck, considering Renee is pro-actively compiling a list of LED projects to create a DIY about.... Just give it a little time, and maybe shoot her a PM. 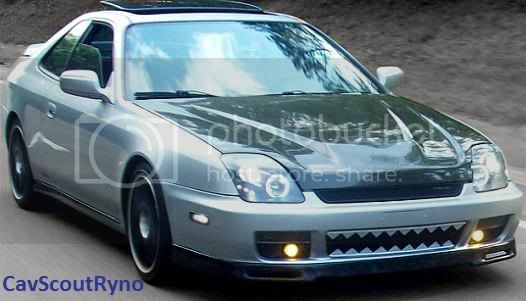 yea I have to say Ive been thinking about doing something similiar....LED taillights, like I saw on this one dude's red integra...it was kinda sic. No earthly idea of how to do it tho. so i was playin with the idea of modding my tails with leds. but i really want them to like alternate/flash when applying the brakes. AIN'T Gonna Happen Sparky. Yes, I can design a circuit to do this (quite easy really, BUT what you are asking for is reserved for emergency vehicles only, aka: Against The Law. No relays, just a 555 chip and a small supporting circuit. The new(er) mustangs do this. I believe you can have up to three progressive flashes, LEGALLY. More coming on this VERY SOON!. i want the turn signals like the ones on these headlights. but for applying brakes not really a strobe but more like flickering/alternating. this is hard to explain. Last edited by CavScoutRyno; 06-16-2010 at 09:20 AM. Also, I'm in the process of putting some SuperFlux LEDs in a spare set of 4g tails I have laying around. I wanted to go with sequential turn signals (like the new mustangs) but there just isn't enough length to the turn signal to make it worth doing. hehe..... I purchased some extra 4th gen tails as well. That would be so sweet to get turn signals like the new mustangs! And to that youtube video thing, i think what it does at 35 seconds would prolly not be very legal to be honest. Ditto...the new mustangs(yes, I know its an older style brought back) have probably the coolest turn signals I have seen on a car. Why 10mm? Why not with a 4 leg (SuperFlux style) LED? Also, I just had a bangin' idea. . . Instead of making two boards of solid color (white and amber for reverse and turn, respectively), just make a single board with the two different colors in like a checkerboard pattern (on their own power leads, however) so that your amber can illuminate that entire lens portion, and your reverse lights have the potential to be massive sunburners. 10mm (Domed) L.E.D. 's are more directional.. their pattern is about 45 degrees I believe. 4 post, aka SMD's, are a broader pattern (usually) and would be great for brakes and reverse. NOT a bad idea with the dual purpose tho... I LIKE how you think! I could still use the 10mm for the turns and do the reverse lights with the SMD's -- HOLY Hell! I think you just hit the JACKPOT! I'll have to show you some pictures of some dual color LED turn signals I made for my 240sx convertible a few years back. The 4 post LEDs are available in a wide variety of viewing angles. The amber ones I have are either 60* or 70* IIRC. I have red/orange (genuine) SuperFlux LEDs that are 70* that I used in some other brake/tail applications. I have pretty much stuck to the acrylic domed L.E.D. 's simply due to ease of access and cost. I guess Ima going to need to get into the SMD's now? SMD's are notably different than the typical round T1, T1-1/2, etc. and the 4 post LEDs like the Pirahna, SuperFlux, etc. 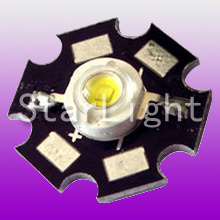 SMD's are mounted ON the surface of the circuit board, rather than through-hole like the round dome type 3mm, 5mm, 10mm and the 4 post LEDs. I have always referred to as a acrylic domed style or "Piranha's"... Sorry for the confusion..
ok, the first video... DEFINATLEY can do that. I don't see any legal issues there. the second video.. I bet it is illegal in MOST states in the US. I may build something like that, BUT, I would make the buyer sign a waiver releasing me from ANY liability. Most of those things would be illegal but some of them looked really awesome. VERY KEWL ADAPTATION of LED's!! Impressive! I always wished I could have stayed in school and learned the programming portion of EE. I am just a newb that understands a lil bit about electricity. Links to AZDave and/or threads? Last edited by LilMsPrelude; 06-16-2010 at 08:49 PM. 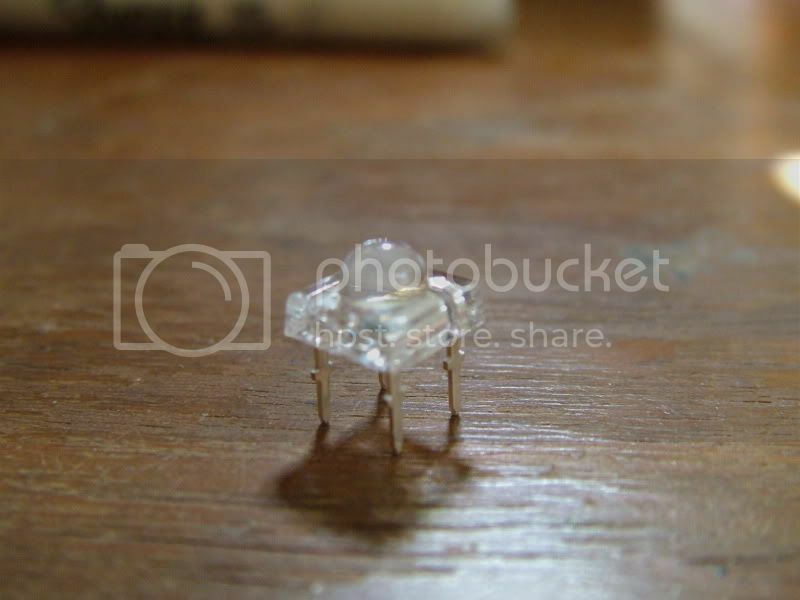 Look in the LED subforum. Damn.. Have to sign up. Oh well.... here comes lilmsprelude! LOL! edit: how long does it take to get the registration e-mail? I wanna see this stuff! Last edited by LilMsPrelude; 06-17-2010 at 10:33 AM.